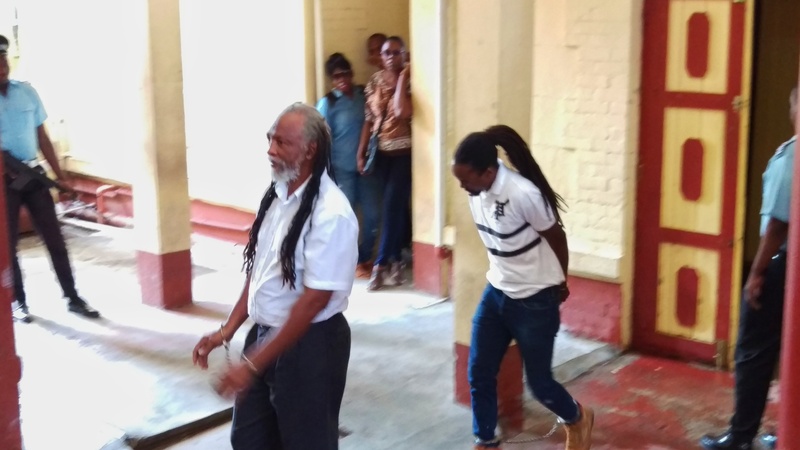 Four men were today, March 9, remanded to prison by Chief Magistrate Ann McLennan after they were charged with possession of 4 kilogrammes, 734 grammes of cannabis for the purpose of trafficking. The charge against the four, including a 65-year-old father of 22 children, read that the bust was made on March 6, at a South Ruimveldt home. 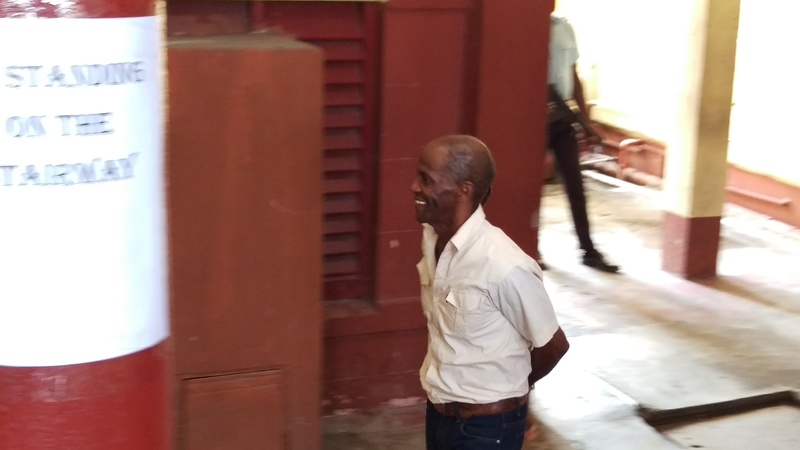 Keith Bazilio, 65 years, and his 32-year-old son Oliver Bazilio, both of South Ruimveldt were jointly charged along with 66-year-old Clinton Chase of East Ruimveldt, and 32-year-old Shemroy Chase of Mandela Avenue. They all plead not guilty to the joint charge. The Bazilios are believed to be occupants of the home in question. Oliver Bazilio and Shemroy Robertson also received separate charges. Oliver plead not guilty to a charge that he was found with 10 grammes of cannabis. Meanwhile, Robertson similarly plead not guilty for possession of 440 grammes of cannabis for the purpose of trafficking. Both finds were also made on March 6. The Bazilio father and son as well as Robertson were represented by attorney George Thomas. Thomas told the court that 65-year-old Keith lives with seven of his 22 children at the South Ruimveldt home where the marijuana was allegedly found. He reportedly has no matters before the court. Keith’s son, Oliver, told the court he is a real estate agent, but his lawyer told the court he is a clothes trader. Oliver reportedly also had no previous convictions, and pending matters, according to his Attorney. Meanwhile, the court heard Chase, a father of 5, is a pork knocker by profession and has no pending matters or convictions before the court, according to his lawyer. Attorney Thomas told the court there are no written statements from the accused and that the substances were not found in the room occupied by Keith Oliver. He noted that Chase was a visitor at the home during the bust. Prosecutor Konyo Thompson objected to bail for the four men. 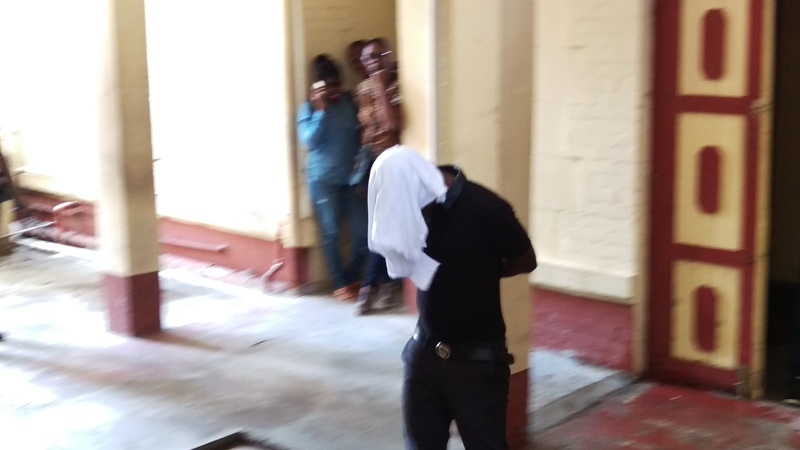 She said Robertson is currently on $600,000 bail pending trial at the High Court for a narcotics matter. He was committed by the Magistrates Court on May 25, 2016. Thompson admitted there were no signed statements, except for oral statements which will form part of the state’s case against the accused. The file is currently completed. The prosecution urged the Chief Magistrate for a speedy trial since all of the witnesses are ranks of the state. Chief Magistrate McLennan denied bail for the four, saying she found no special reasons for which bail should be granted. The matter will come up again on March 27.